The 1929 Hunt County Courthouse is a 6-story Classical Revival building constructed of ivory terra cotta, light face brick, and cut stone. In downtown Greenville, the seat of Hunt County government, the building fills an entire block. The courthouse sits on a promontory overlooking the Sabine River to the east, with north and south approaches rising up to the courthouse site. Commercial buildings dating from the late 1890s to the 1960s line the surrounding streets. Two smaller floors surmount the main 4-story portion which displays ornamental detailing representative of early 20th century governments buildings built in the Classical Revival style, while the rectangular massing blends Art Deco influences from the 1920s and 30s. Rows of large Ionic columns separated by casement windows above the entryways and decorative terra cotta moldings characterize the outer facade of the 40,000 square foot building. The courthouse maintains all aspects of its historic integrity, standing in excellent condition with few alterations over its 67 year history. The 1929 Hunt County Courthouse is at the center of downtown Greenville in Hunt County, in northeast Texas, about 30 miles northeast of Dallas. Landscaping, benches and small monuments accentuate the courthouse block. The north side features a World War I monument, a small cannon, and a Texas Historical Marker to the right of the main entrance stairs. On the south side a 1936 Texas Centennial Marker and a Sesquicentennial Oak tree flank the entrance stairs. The building is positioned very close to all four streets lining the block. Concrete sidewalks extend out to the street lined with parking spaces for visitors and shoppers coming to the courthouse and the surrounding commercial district. The base of the building is elevated to a story and a half, while the lower floors project forward in a pair of wings on the front and rear facades, creating an I-shaped floor plan. The fifth and sixth stories are accommodated in stepped-back masses over the center of the courthouse (Henry, 81). 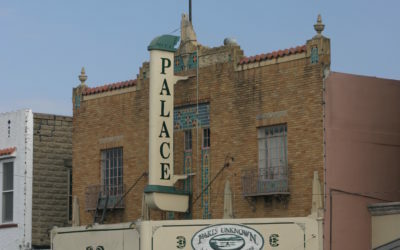 This flat, rectangular massing indicates modernistic Art Deco influences, while the rows of detailed Ionic columns on all four facades represent the earlier Classical Revival style. Exterior construction materials include ivory terra cotta, light face hard-fired brick, and cut stone. Massive Classical Revival columns of terra cotta over brick are the most distinctive visual feature. The base and twenty-four foot wide steps leading to the north and south entrances are of Carthage stone. The original rubber Barret Bond roof, patched over the years with tar, remains in place. The front entrance faces north and is identical to the south entrance. At these entrances broad steps lead to what were originally three recessed arched wooden doorways on the second floor. These have been replaced with one centered aluminum door flanked by two large aluminum windows. The original ornamental lights flank the main steps. Clocks, also original to the building, sit a the center of a ledge above these entrances. The east and west entrances have steps leading down to the entrance on the first floor. Large six-sided electric lanterns hang to each side of the doors. Terra cotta moldings continue around the east and west sides. Clocks were not placed on these sides of the building. The exterior of the first and second floors of the 4- story main portion consists of cut stone with decorative terra cotta moldings around the top of the second floor. The exterior of the third and fourth floors consists of brick veneer around the entire building. A stone and terra cotta shield separates the third and fourth story windows throughout. On the north and south sides are eight terra cotta covered Ionic columns separated by casement windows on each floor. Above the columns on these sides are the words Hunt County Courthouse carved in stone and topped by eight covered stone urns. The east and west sides of the building have six terra cotta covered Ionic columns. On each side is a stonework parapet to offset the smaller sixth and fifth floors. The upper two stories are also made of cut stone and terra cotta moldings. Over the north side is the extension that housed the jail hospital on the fifth floor. At each corner of the fifth and sixth floor are diagonal masonry walls with a square stone bearing a sun-like design. The top of the sixth floor is capped with stone and terra cotta. The Hunt County Courthouse remains today much as it was when completed in 1929. The exterior is virtually unchanged except for the replacement of the main entrance doorways on the north and south sides. The largely marble interior also remains virtually the same, with some paneling and partitions added. The original courtrooms, offices, and other facilities, as described below, still largely facilitate their intended uses. The only major alteration took place in the 1970s when the fifth and sixth story jail was condemned as unsatisfactory for prisoners. Today, after years of interior remodeling, the fifth floor is used for storage while the juvenile detention center on the sixth floor is closed to the public. Recent renovations, overseen by County Judge Joe Bobbitt, aim to restore the appearance of the building. Work includes removal of mineral stains on exterior walls, replacing window units with rooftop air conditioning units, and painting of the interior and exterior in original colors. The terra cotta, brick, and cut stone of the exterior have withstood the ravages of more than sixty years of weather and pollution. The design remains classic and timeless as the building stands of the brink of the 21st century, serving the citizens of Hunt County. Throughout its history, the Hunt County Courthouse has stood as a symbol of pride and prosperity for the citizens of Hunt County. Serving as the seat of local government since 1929, the courthouse is the latest of seven buildings to house this northeast Texas county’s government. The building fills the entire public square set aside for the courthouse in the original layout of Greenville in 1847. The building meets Criterion A in the area of Politics/Government for its role as the center of government in Hunt County. Under Criterion C in the area of Architecture, its form and location represent common trends in Texas courthouses. The design of the building, by architects C.H. Page and Brother, of Austin, and William R. Ragsdale of Greenville, blends Classical Revival styling with step-back massing of the modernistic Art Deco style, representing a transition between the traditional influences and the emerging Moderne/Art Deco style of the 1920s and 30s. 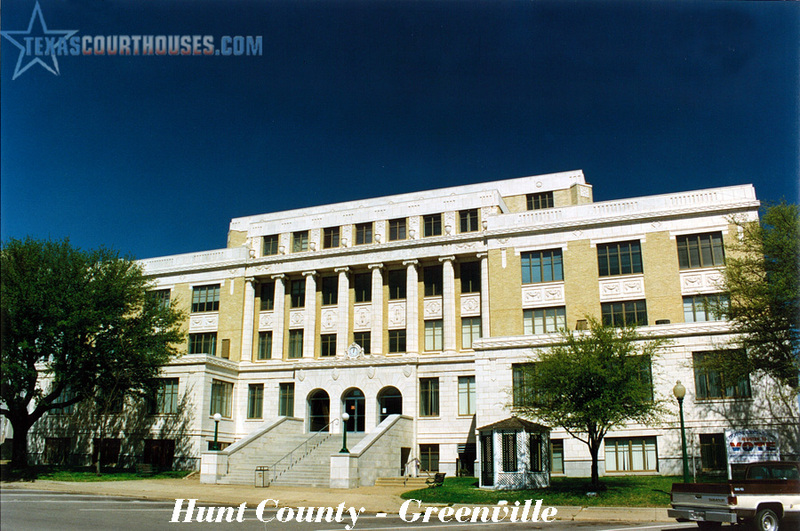 When organized as the seat of Hunt County government, the layout of Greenville followed a plan typical of 19th century Texas county seats with a central public square of one or two blocks reserved for a courthouse, city hall, or jail (Robinson, 1983:16). This public area was eventually faced not by other government or ecclesiastical buildings, but by rectangular, flat-fronted commercial buildings (Robinson, 1983:16). The public square, as the site of political speeches, traveling amusements, and, with its wells and cisterns, a beacon to tired and thirsty travelers, became the nucleus of 19th century Texas towns (Robinson, 1972:342-343). The most common arrangement, as seen in Greenville (Map-15) and other Texas cities such as LaGrange, Waxahachie, Dallas, and Houston, consisted of a simple one- block square within a grid of streets (Robinson, 1983:17). Courthouses erected on this square generally required similar entrances on all four facades, providing equal prominence for all surrounding businesses. Even when the buildings did not have an actual entrance on all four sides, designs called for four similar, if not identical, facades (Robinson, 1972:344). The first state legislature created Hunt County on April 11, 1846, naming the county for General Memucan Hunt, an instrumental figure in the annexation of Texas to the Union. Shortly after the creation of the county, McQuinney Howell Wright, a prominent landowner, offered land for the county seat to be named Greenville in honor of Thomas Jefferson Green, a member of the Mier Expedition. A public auction on January 16, 1847, sold lots in the newly platted town. The center lot, designated as the public square, remained vacant until the county could acquire funds to erect a suitable seat of justice. In the meantime, the first courthouse, a log cabin approximately 20 feet by 22 feet, was built on the west side of the square. The second courthouse, a frame building on the northwest corner of the square, soon replaced this building. Finally, in 1859 a brick courthouse, the county’s third, was erected in the center of the square. This building lasted until 1874, when damage from a storm caused it to be condemned in June, 1870. Limited tax dollars in the years following the Civil War forced the courthouse to survive the four years after the storm with only patches and repairs. After this, The Hunt County Commissioners Court bought the Methodist Church for office space, making it the fourth building to house the courts and county offices. The Methodists, in turn, bought the old courthouse, tore it down, and used the materials to build the Wesley Methodist Church. After clearing the courthouse lot, construction began in 1883 on an ornate red brick building with white stone trim, becoming the county’s fifth courthouse. Thirteen months later a fire destroyed this building and most of the surrounding businesses. Because the Commissioners Court had the foresight to purchase fire insurance and invest in fire-proof vaults, all the records survived and the county built a new courthouse with very little expense to the taxpayers. This sixth courthouse, dedicated in 1885, closely resembled its predecessor. As early as June 11, 1923, E.G. Arnold presented a petition with 200 signatures to the Commissioners Court for an election to sell $400,000 worth in bonds for erecting and equipping a new courthouse and jail. The election was set for July 21, 1923, but on July 9, 1923, the County Commissioners Court issued an order to rescind the election, giving no reason for the change. On October 8, 1927, a bond election for the sum of $400,000, the same dollar amount as the proposed bond election of 1923, was held for the building and equipping of a new courthouse. This time the proposal passed by a slim margin. N.C. Peak was county judge at the time with C. W. McClurg, Will Norton, Albert Treadway, and George Kelley as County Commissioners. The county offices moved into surrounding leased office space and construction began shortly after the razing of the red brick courthouse. Plans called for the new building to encompass the entire block in contrast to the previous, smaller courthouses. The Grand Lodge IOOF of Texas laid the cornerstone on August 30, 1928. Charles H. Page and his brother Louis C., of the Austin firm of C.H. Page and Brother, designed the courthouse along with Greenville architect William R. Ragsdale. The Page Brothers designed many public buildings in Texas including the Chambers County Courthouse, city hall buildings in Brownsville, Mexia, and Eagle Lake, and the Travis County Courthouse in Austin, built between 1930-36, shortly after the Hunt County Courthouse. Charles H., whom city directories show to have been practicing architecture since at least 1898, became partners with his son Charles H. Jr. after Louis’ death about 1935. C.H. Page and Son continued until the elder Charles’ death in 1957. Altogether, the firm was responsible for hundreds of public structures and numerous other commercial, residential, and educational buildings in Texas, particularly in Austin. Today, the family’s practice continues through Page-Southerland-Page, an Austin firm started in 1939 by Louis’ two sons Louis Jr. and George M. Ragsdale visited every modern courthouse in the southwest to learn improved building methods to make the new courthouse a composite of these styles and methods. Early uses of the Moderne style in Texas architecture represented a compromise between tradition and progress (Robinson, 1983:268). The design of the Hunt County Courthouse reflects the integration of traditional details with modernistic forms. The building’s centralized massing, of symmetrical blocks rising above a base form, geometric ornamentation, and terra cotta columns in the Ionic order, accomplish this blend of modernity and tradition (Robinson, 1983:268). Traditional features retained in the courthouse include entrances at all four facades, although now at two different levels, and identical detailing on all four facades. 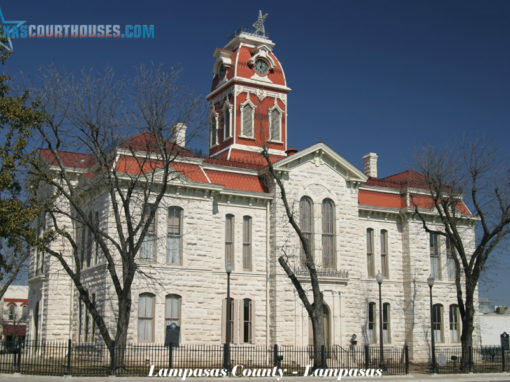 Other courthouses of the era also display centralized, cubical massing, although with less traditional and more modernistic ornamentation, such as the Eastland County Courthouse (1928), the Potter County Courthouse (1930- 1932), and the Travis County Courthouse (1930-1936) (Robinson, 1983:269-270). Ben W. Shepherd and Sons, prominent Greenville builders, served as general contractors for the construction of the building. Globe-Wernecke Company of Cincinnati, Ohio, supplied the wood paneling, judges’ benches, and office chairs. They sent Carl Walker, a superintendent from the plant, to personally supervise the installation of the furniture, sold through W. Walworth Harrison, the local dealer, and E. B. Allen, the district agent in Dallas. W. Walworth Harrison served as general chairman of the committee to dedicate the courthouse and later became very involved with the Texas Historical Commission in Hunt County, writing a History of Greenville and Hunt County, Texas. Other suppliers included Art Metal Furniture of Jamestown, New York, who provided the office furniture, including the latest desks, equipment, and filing cabinets. Newman-Parker Company of Greenville installed the heating and plumbing. N. E. Busby and Company of Dallas dealt with the electrical construction and electrical fixtures. The American Elevator Company of Dallas installed the elevator equipment. Anderson and Son of Greenville laid the linoleum throughout the offices and filing vaults. W.E. Bradley of Greenville had the paint contract and used Sherwin-Williams paint furnished by White Brothers Paint Company of Greenville, some of which remains on the windows. The International Recording Time Company of Dallas installed the clock system above the north and south entrances and in each department controlled by a master clock in the County Judge’s office. The design of this courthouse heavily emphasized fire- proofing and the safe-keeping of county records. All housings for records were steel vaulted. Numerous exits stood readily available in case of emergency. Every floor featured “modern” plumbing, with segregated public toilets for both men and women. Every department also had its own private toilet facilities. A boiler system on the first floor basement provided heating and hot water. The primary boiler used natural gas while the secondary boiler ran on coal. The coal shuttle door can still be found beside the south basement door. On April 11, 1929, the date of the 83rd anniversary of Hunt County, dedication ceremonies took place for the seventh and latest Hunt County Courthouse. Old photographs show large crowds in attendance. Festivities included a parade, tableau, flag raising, birthday cake, and reception. Feelings of pride and achievement prevailed. The Greenville Morning Herald noted that “even the most optimistic could hardly visualize the beautiful edifice that was to be builded (sic) with that $400,000. It has been used to erect and furnish a court house that will adequately serve the needs of Hunt County for fifty years.” The dedication program described the building as “palatial” with a court room suggesting “regal throne rooms” paneled with beautiful oak. The program continued by noting that the jury quarters with “their inviting baths … will entice the reluctant juror to gladly spend a night if necessary on a tedious case.” At the time of the dedication, T.J. O’Neal was county judge with George Kelley, C. W. McClurg, D.B. English and Frank Norton as commissioners. Joe M. Fugitt was county auditor and C. D. Fuller was secretary of the court. Judge O’Neal formally presented the new courthouse to the people of Hunt County while the Honorable Sam H. Whitley, president of East Texas State Teachers College in Commerce, received the gift of the new building on behalf of the people. In a special edition, The Greenville Morning Herald published a detailed look at the new courthouse, beginning on the first floor and working up to the top floor of the jail. The following six paragraphs summarize the newspaper’s description of the building’s original interior and its uses, which have changed very little over the years. Two elevators ran from the first floor all the way up to the top floor jail. One of the elevators featured a hold- over cell for transporting prisoners by the sheriff’s department. The original elevators are still in use. The first floor, or ground floor, featured outside entrances on all four sides and five stairways leading to the main second floor, with the ten foot wide main staircase made of marble. The Otho Morgan Post 17 of the American Legion occupied the northwest corner of the floor. The janitor’s closet on the north side of the hallway housed the electrical switchboard for the building. The northeast corner housed a vaulted safe for county records connected to the county clerk’s office on the floor above by a spiral stairway still in use. At the east door was the men’s restroom, with the one on the south side of the hall for “whites” and the one on the north for “Negroes.” The previously mentioned boiler room occupied the south side of the floor. The county agricultural agents had offices and a reception room in the southwest corner, which also housed a vault for automobile highway license plates and a spiral staircase (now removed) that connected to the tax collector’s office on the floor above. Offices were also provided on the first floor for justices of the peace One and Two and the constable for Precinct One. These elected officials had been previously housed elsewhere due to constraints on space, as they are today. The women’s restroom, also segregated, sat at the west entrance. The county clerk’s office and file room, storage vault, reception room, and assembly room of the county school superintendent occupied almost half of the second floor. The county auditor occupied the northwest corner with a reception room, work room, and filing vault. On the south side sat the County Treasurer’s office and large money vault. The tax collector’s office next door featured seven steel collection windows, large public space, a private office, and a large money vault. As noted, a spiral stairway led to the highway license filing room below permitting instant access to every record needed by this office. The tax assessor’s reception room and workroom also adjoined the tax collector’s office. An eleven foot wide stairway led from the second to the third floor, designed to house the county and district court systems. The office of the district judge with an adjoining office for the court reporter occupied the northwest corner. The north side housed the office of the district clerk which featured a special vault for records along with the sheriff’s department with offices for deputies. A hold-over cell adjoining one of the elevators sat next to the deputies’ offices. Prisoners or attached witnesses could be placed in this cell for safe-keeping. Jail visitors also placed “packages” here while visiting prisoners in the jail on the floors above. The main reception room and private office for the sheriff occupied the north side of the third floor, along with two rooms for private attorneys and witness rooms. The district attorney’s office and reception room occupied the northeast corner, while the southeast corner housed the county court room. Quartersawn oak was used to construct the new and matching furniture, including the judge’s screen, witness box, clerk’s table, reporter’s table, and six jury chairs. A large number of opera chairs provided accommodation for spectators. Behind the court room sat the private office and reception room of the county judge and the adjoining the offices and reception room of the county commissioners. The district court room occupied practically all of the west side of this floor. The district court room utilized two floors with a twenty-four foot ceiling and balcony. Quartersawn oak was again used for the judge’s screen, the jury box, witness chairs, and desks for the clerk and court reporters. To make the jury as content as possible, the jury box featured comfortable chairs and brass foot rails. The main floor of the court room featured benches for spectators, while the balcony, which could be entered from the floor above, featured opera chairs. The jury deliberation room sat to the west side of the courtroom. Spiral stairs led to the dormitory on the floor above, furnished with modern sleeping quarters and built-in tub baths, showers, and toilets. To the southeast side of the district court sat the venire room where possible jurors waited. The nearby county attorney’s office featured a reception room and private offices for both the county attorney and the assistant county attorney. To the east side of this floor sat another identical district court room, built to allow for the hearing of two different trials at the same time. When the courthouse was built in 1929, the community hoped that the District Court of Appeals would be located in Hunt County, but Texarkana was chosen instead. This courtroom featured a dormitory rationalized to the public as being for women, if and when women ever served on juries in district court cases. The smaller top two floors of the Hunt County Courthouse housed the county jail. Fire-proof stairs and two elevators provided entrance to the jail floors. Southern Prison Company built the jail and boasted that it “was practically impossible for a prisoner to escape the new Hunt County jail.” The jail cells which occupied the center section on both floors were vaulted and segregated. On either side sat the day rooms where the prisoners ate meals. A lever box on the guarded passageway operated the cell doors so that it was not necessary for the jailer to enter the cells or the day rooms to handle prisoners. The guarded passageway ran the perimeter of the 48 cells, 24 designated for Anglos and 24 designated for African Americans. The hospital unit, also segregated and with an operating room at the center, occupied the north side where sick prisoners could be cared for while staying separated from the other prisoners and kept just as securely. The northwest corner housed the “delousing plant” or disinfecting room, with shower baths and all the facilities for cleaning prisoners as they emerged from the elevator. The private bath, bedroom, office, and reception room for the jailer sat on the northeast side of the floor. The second jail floor was somewhat smaller and used for women and juveniles “not regarded as such dangerous prisoners as the felons below.” These cells were also segregated. The jail kitchen also occupied this floor, with a dumb waiter used to send food to the day rooms on the floor below. The building of the seventh courthouse late in the 1920s had much significance for Hunt County. It came at a time when the area, state, and country were leaving the agrarian past and entering the technological age. Even the architecture of the building indicates a transition from the Classical Revival style of the early 1900s to the coming Art Deco period. Jay C. Henry writes in his book Architecture in Texas 1895-1945 that the Courthouse “is probably best viewed as a monument to the transition from Beaux Arts Classicism to the modernistic style (p. 82).” The massive 40,000 square foot building with symmetrical facades, wide entrance stairs, arched doorways, and large Ionic columns typifies the late Classical Revival style popular in government buildings during the early 20th century. At the same time the flat, square massing and geometric ornamentation show Art Deco influences, part of the modernistic movement in architecture during the early 20th century. Certainly those in attendance at the dedication in 1929 could not have foreseen the changes that would occur in their lifetime. In a little over six months, the greatest economic depression ever would hit the world. In a little over ten years, the world would once again be on the brink of world war and Hunt County became the site of Majors Field (now B-Systems), an airfield to train pilots in both the European and Pacific Theaters which also became a major player in world defense during the Cold War. When the courthouse was dedicated, the local newspaper predicted the building would serve the citizens of Hunt County for at least fifty years and maybe into the 21st century. The building’s location on the public square in the center of town and the design of the building, meant to be viewed from all four sides, are evidence of county government’s central role in the community and the effect the courthouse was meant to have on the visitors and citizens alike. The building has maintained its historic character and continues to serve as the seat of local government. Few major changes between the original design of the building and the current exterior condition mar the building’s historic fabric. Today, as Hunt County nears its 150th anniversary and the turn of another century, its citizens can hope that this courthouse will serve at least another fifty years.